12 top teams, 1 grand prize! The Collider Cup is the all-star showcase of Berkeley’s best student venture projects. The event will feature student pitches in emerging technology areas including data science, blockchain, artificial intelligence, and sports technology. One team will win the grand prize — the Collider Cup! The event will take place on Friday, December 7, 2018, from 10 a.m. – 3 p.m. at 310 Jacobs Hall at the University of California, Berkeley. Over the course of one semester, over 900 students take 12 courses to build new ventures, tackling projects related to Silicon Valley’s fastest growing fields, such as blockchain, data analytics, plant-based meat, sports technology and more. The top venture team in each course will compete at the Cup. San Francisco Chronicle describes it as “the most prestigious honor awarded by the school’s Sutardja Center for Entrepreneurship and Technology.” According to Pitchbook, UC Berkeley is the 2nd best university for entrepreneurs, with its students founding some of today’s most influential companies including the likes of Apple, Intel, Tesla, and eBay. The winning teams at Collider Cup I and II have covered diverse fields. Basys created special gloves to track football players’ technique as they practice or play games, enabling them to monitor their performance and pinpoint specific improvements. CRISPea worked to eliminate the bitter aftertaste of pea protein by directly editing the plant’s genes with CRISPR technology, a potentially major breakthrough in the world of plant-based protein. And Healthchain developed a way to store medical files on the blockchain, using fingerprints as a biological key to access records in cases of emergency. Diversity truly is the secret sauce to these teams – from the individuals that comprise them to the problems they tackle. Each team includes students of various academic backgrounds, from the humanities to STEM, bringing an interdisciplinary approach to solving challenging industry problems. Last year’s Sports Tech class alone included twenty-eight students representing seventeen different academic majors, seven Cal Sports, and years of study ranging from undergraduates to PhDs. Beyond the friendly competition of Berkeley’s brightest students pitching for the grand prize, the Collider Cup is a phenomenal opportunity to mix and mingle with professors, investors, industry experts, students, and faculty from both the immediate and broader SCET network. SCET’s motto is “It All Starts Here.” The Collider Cup does not mark the end of these students’ work, but rather helps them discover the next milestone on their journey’ to becoming successful entrepreneurs. The Sutardja Center for Entrepreneurship & Technology is a global innovation hub headquartered at UC Berkeley’s College of Engineering where aspiring entrepreneurs and innovators take deep dives into the world of technology entrepreneurship and embark on the path to develop exciting new ventures. The Center researches emerging technologies in its labs and offers a suite of courses and programs for students and executives that teach the fundamentals of entrepreneurship and innovation. Learn more at http://scet.berkeley.edu/. Arrow Capital is a student operated venture capital firm supercharged by Bow Capital and the University of California’s Endowment Fund. Arrow makes investments of $15K-$50K in Berkeley-affiliated startups. 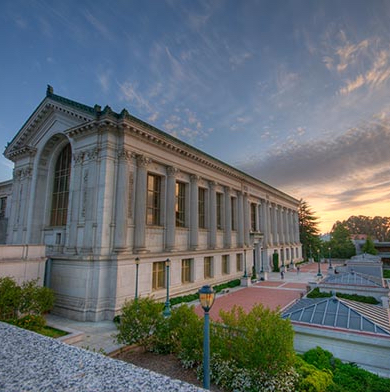 They empower the next generation of world class Cal startups through funding, mentorship, and long-term strategic partnerships. Learn more at http://arrow.capital.